B-lymphocyte white blood cell. 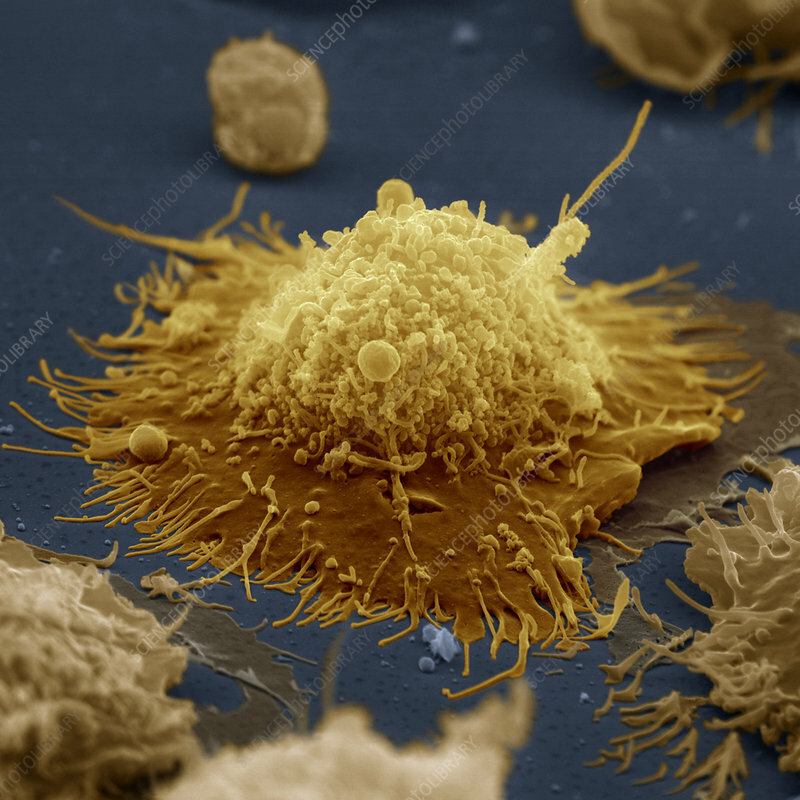 Coloured scanning electron micrograph (SEM) of a B-lymphocyte. This white blood cell is part of the body's immune system. Its surface is covered in ridges and projections (microvilli) which help it to bind to its targets. When B-lymphocytes encounter foreign cells in the body, most undergo rapid growth and division to form numerous plasma cells. These release antibodies which attach to and destroy the foreign organisms. Some B-lymphocytes remain in the body for years as memory cells, and these rapidly respond if the same invading organism is encountered again. Magnification x5000 at 6x6cm size.